The next part in our Faces In The Crowd series features financial IT business manager and world citizen Graham Holey. Graham is a Pearl Jam fan from New Zealand, living in Brooklyn and working out of Toronto under a British passport. In this video, Graham discusses his life living in Brooklyn and shows us some of his Pearl Jam collectibles that are scattered over several continents. There will be more videos to come. But get in touch if you would like to share your experiences as well. There are many books out there about Pearl Jam, some official from the band and others not so official. But which are the ones worth owning? 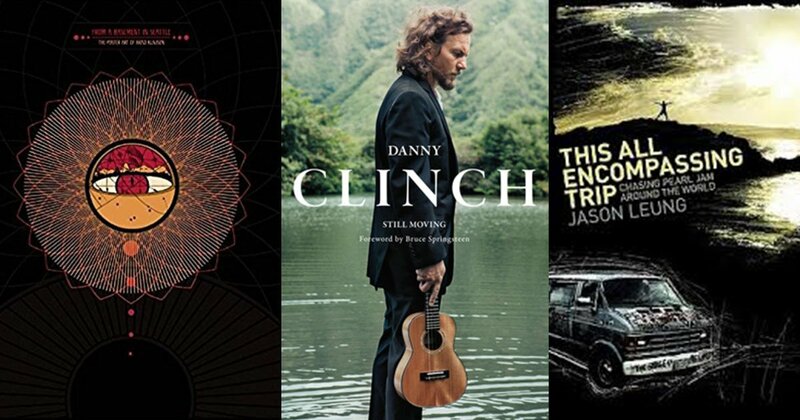 Here’s a list of essential books for a Pearl Jam fan. The book that accompanies the Cameron Crowe movie, PJ20, covers pretty much the band’s entire history. It is the most complete info you could find on Pearl Jam in one location and thus makes it a must have for any fan. Perhaps the Ames Bros book is more complete in terms of specifically Pearl Jam content, but the book to get is the one from Brad Klausen. His designs are consistently popular with fans and he adds a great dynamic to the concert poster artwork that are must haves for Pearl Jam shows. This book showcases Klausen’s work throughout the years and will look great on your bookshelf. There have been many photographic books by Pearl Jam photographers including Pearl Jam: Place/Date and 5 x 1 Pearl Jam Through the Eye of Lance Mercer. But the one that stands out the most is Danny Clinch’s Still Moving. Clinch has had an intimate access to the band through the years and combine that with his great eye for the moments results in an immaculate collection of photographs. Having Eddie Vedder on the cover always helps too. This is for the musician out that that wants to learn how to play Pearl Jam songs on guitar. Anthology is a collection of sheet music for almost every song every written by the band. Get it, learn it and play it. This is a unique photo book in that it features polaroids by a band member. Flipping through it, you will get an insight of Pearl Jam’s touring life through the the eyes of their lead guitarist Mike McCready. And of course the book for all fans. This All Encompassing Trip is an easy read that takes you on a journey of a fan who follows Pearl Jam around the world. What better way to be a fan than to be on the road with the band and this book provides a journal of the experience. With releasing the book This All Encompassing Trip, you are all now familiar with some of my fan stories chasing Pearl Jam around the world. But what stories do you have? In collaboration with Wishlist Foundation and Infinitum Films, we have put together a video series called Faces In The Crowd, which profiles Pearl Jam fans sharing their stories and personal fan experiences. The first feature is on long-time fan and music journalist Jessica Letkemann, as she discusses her connection with the song Breath. This All Encompassing Trip was released 5 years ago today. To celebrate, we are giving away 5 books to anyone in the world for free. Just share this video on facebook or twitter and tag #TAET5 during the next 5 days and we will randomly select the winners. Thanks for your support. Ten years ago today, September 1, 2005, Pearl Jam played that epic show at the Gorge Amphitheater. It marked the beginning of the journey we took on the Touring Van. A journey that was life changing for many of us. What a great ride it has been and continues to be. So many good memories, friendships, and the stories. Happy 10 years. On October 19, 2014 Wishlist Foundation will be giving 10,000 wristbands to Pearl Jam fans in St. Paul to wear to the concert to show Pearl Jam and Eddie Vedder their gratitude and to show support and solidarity in their mission to #CauseTheWave to #HealEB. Get your wristband before the show from the Wishlist street team at the Xcel Energy Center or at the Amsterdam Bar and Hall during the St Paul Wishlist Preparty. Join the #CauseTheWave facebook group to find out more info. A few months back, we put on an Indiegogo campaign to create a new Touring Van video. You responded with your support and made it a huge success. So we put the van back on the road, picked up a crew of friends (old and new) and brought the Touring Van out for the Vancouver and Seattle Pearl Jam shows in December. The result is the Touring Van 2013 film below. 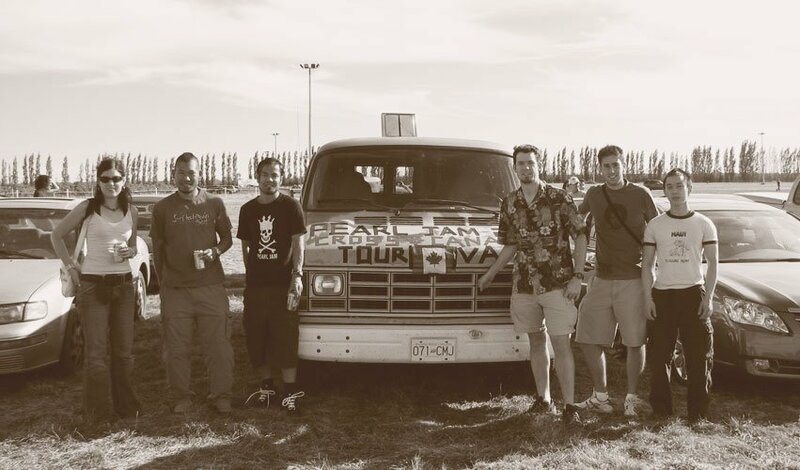 Thank you to all the contributors from the Indiegogo campaign and everyone that helped make Touring Van 2013 happen.